I moved back from Beijing just before New Year’s 2009 and was a bit adrift after a tremendous 3.5 year run there. I had left an award-winning column, an award-winning band and an exciting life I loved. I was sitting in an empty, drafty house in frigid New Jersey and wondering what was next. What follows is the story that got me back in the game. 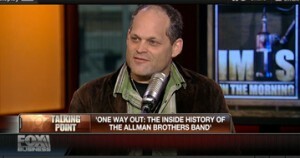 Within weeks I was working on the 40th anniversary of the Allman Brothers cover story that would become the basis for One Way Out: The Inside History of the Allman Brothers Band. 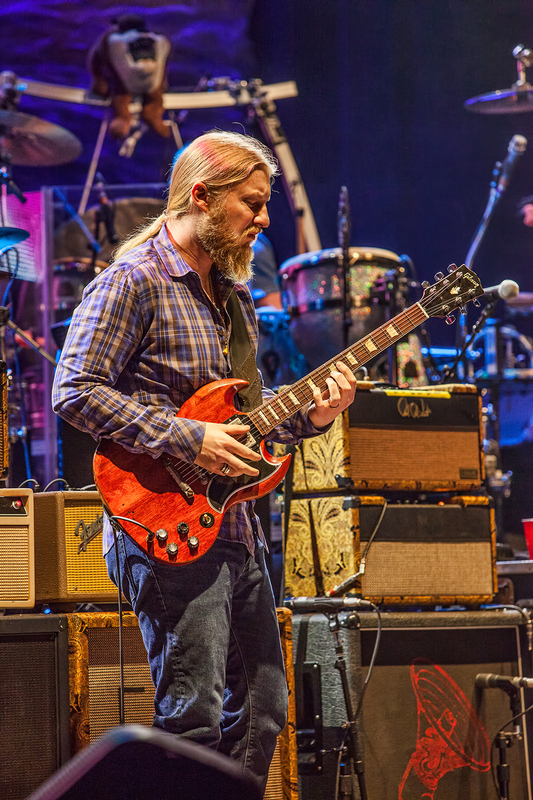 Derek Trucks is all grown up and glowing with confidence on Already Free, a new album recorded at home with his wife Susan Tedeschi and an extended family of friends. 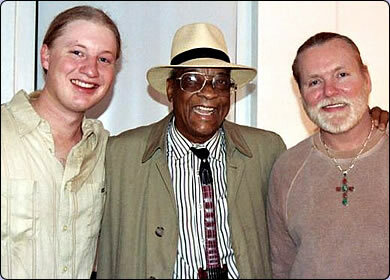 Derek Trucks is not a kid. First impressions can be hard to shake, and Trucks has been in the public eye since he was a preteen prodigy with a freaky ability to channel Duane Allman’s slide sound. But it’s time to abandon any notions that he is still a youngster. 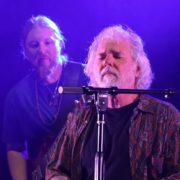 Trucks is now a 29-year-old father of two married to blues singer Susan Tedeschi and a 10-year veteran of the Allman Brothers Band who also put in a year touring the world with Eric Clapton, in 2006. 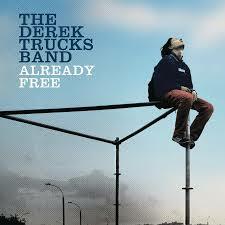 And if all that isn’t proof enough, now there’s the Derek Trucks Band’s Already Free (Legacy), his confident new effort. The sixth DTB studio album is the first Trucks produced himself. It is also the first to feature a cohesive sound all the way through, incorporating the band’s diverse influences—jazz, blues, gospel, rock and Indian—into one groove-based package. With nothing left to prove, Trucks takes a more subdued approach to guitar playing than in the past, but he is ever more impressive, with glistening slide lines that snake through the music to underpin everything. The confidence and unique tonal control at the core of Trucks’ style have only deepened. 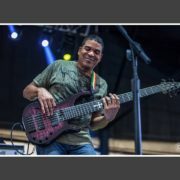 He is a master of the microtonal bends that are at the heart of both sacred steel gospel (popularized by Robert Randolph) and Indian classical music, both of which he has studied closely. No guitarist creates more sound, tension and feeling from a single note. Trucks’ longtime touring group is at the album’s core, supplemented by a host of other musicians, notably Tedeschi and Doyle Bramhall II, his fellow guitarist from the Eric Clapton tour, who sings, plays on and co-produced three tunes. The album was recorded at Trucks’ new home studio in Jacksonville, Florida, which he says was integral to the final product. GUITAR WORLD In this digital era, why did you decide to build a full-on home studio? 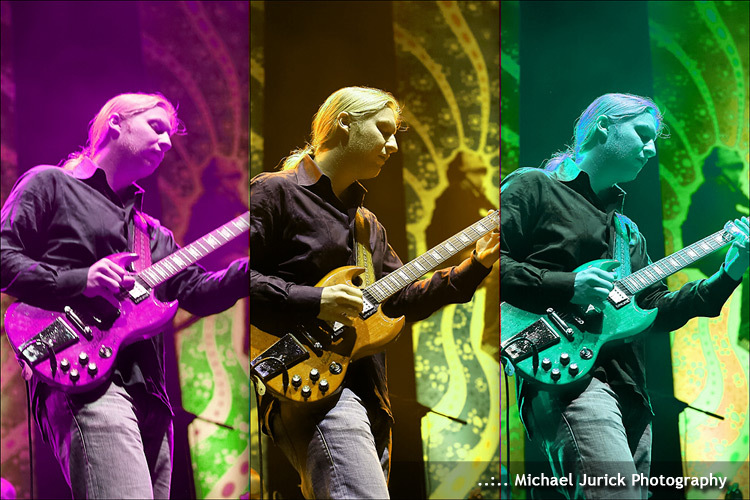 DEREK TRUCKS The whole thing came about because of the crazy year I had [in 2006–07] touring with Clapton, the Allman Brothers and my own band. I was on the road constantly. The Clapton offer was a fantastic opportunity and something I could not say no to, but I also could not walk away from my other commitments. I had to grind it out, and it really made me want to have a great home rehearsal space just so I could be home more. That was my original goal, but once I realized that our guitar tech, Bobby Tis, and his father, who had been a consultant to studios and the chief engineer at Electric Ladyland, were capable of pulling off anything, I started to think bigger. We got a blueprint for a world-class studio and went for it. Because I was in the middle of the Clapton tour, I could swing it financially. GW And recording there really impacted the way the CD came out? TRUCKS Oh yeah. I loved having so much freedom to do whatever we wanted. It’s hard to balance this musical life with a family life, and the studio is an important part of trying to figure out how to do that. I wanted to incorporate recording music into normal family life—take the kids to school, then write and track a song. The best example is “Back Where I Started.” Warren [Haynes] and I wrote that song together at the studio, and we recorded a version with him singing, which sounded great. But I wanted it to be more delicate— and to use the sarod [a fretless Indian classical instrument]—and he has such a powerful voice that it had a different vibe than what I was imagining. I wanted to hear Susan sing it, and I had a very specific sound in my head—what she sounds like first thing in the morning. We went out to the studio one morning after we had taken the kids to school, and I kicked everyone out so it was just the two of us, with the lights dimmed. You get a different performance when someone is not performing for anyone, and that epitomized the beauty of having a home studio. You can try different approaches without worrying about time or money. GW You told me before that working with Eric Clapton had a big impact on you. Can you describe that and how it impacted the music on Already Free? TRUCKS It was kind of a new thing for me to play things that straight, but I found that getting into the songwriting and making everything on the track serve the tune was really rewarding. Truthfully, I delved deeper into other music—blues, jazz and Indian—before I started really understanding much classic rock. The albums that I put on over and over are the ones that don’t reveal themselves all the way on the first listen but have something to keep pulling you back in. Stevie Wonder, Hendrix and Sly Stone are masters of that, and I wanted this album to be that way, with songs that always have a little more going on just below the surface. GW What struck you most about Clapton’s guitar playing? TRUCKS The fact that he doesn’t give it all away all the time. Something always seems to be boiling just under the surface, and he often keeps it there. I think the threat of something happening at all times is really powerful, and he’s a master of always leaving the crowd wanting more. I took notice of that, and I think there’s a lot of that in my playing on Already Free. This is our sixth studio record, and we’ve played hundreds of shows where we’re just leaving it all out there, so it felt like time for a different statement, where the guitar becomes another voice. That’s what we were trying to do. GW I’d say it’s still the dominant voice, but you’re speaking in shorter sentences. TRUCKS [laughs] That’s another impact of doing the Clapton thing. When you have two choruses to state the case, you don’t have time to warm up. You have to come out swinging. TRUCKS Yes. After all those shows and all those solos, when I played shorter with Clapton I felt like I had another gear in reserve that I could always go to. You start to feel like you have some extra heat when you need it. 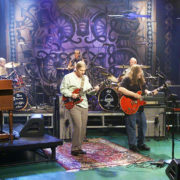 The Allman Brothers is like a freight train, and there’s no room for any fear. You have to jump in and go when you have your chance. 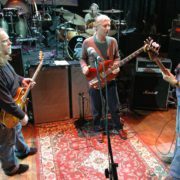 Since the moment I started playing with them, I had to feel confident enough stand toe to toe with Dickey Betts and Jimmy Herring and Warren and do my thing. GW Your wife is also a touring musician, which must make it hard to have a normal home life. In the past two years, you have toured together as the Soul Stew Revival, which also includes your brother Duane on drums. Is that an attempt to merge your careers and will it continue? TRUCKS Like a lot of things in life, you can look at both of us being musicians as either a blessing or a curse. Often, there’s a perfect solution staring you in the face, but you have to find it. For us, it was finding a way to tour together. I think we both need other outlets, but we are going to keep growing this and eventually record an album and keep pushing it toward a full-on rock circus. We already have 11 members. The Allman Brothers thing is not going to last forever, and I think eventually the Soul Stew will occupy that spot of my year. My father also comes out and handles all the merch, and having him and my brother and my wife and kids all together on the road is a nice middle ground, where we can be out doing what keeps us alive and rolling while also keeping the family close and maintaining those bonds. We’ve all witnessed a lot of musicians with broken families—that seems to be really common—and I think it is possible to find a compromise where you can do it all and make it work. I think we’re slowly homing in on it, and the studio is a huge part of it, allowing us to do these albums ourselves from top to bottom. GW There is a similarity between the microtonal bends in gospel and blues side guitar and Indian classical music, and you may well be the only one mining that cross-fertilization. TRUCKS I first made the connection when I was going through a stage of listening only to straight-ahead jazz and Indian classical music. We were doing a tour of Mississippi and I was reading Robert Palmer’s Deep Blues, a great book that inspired me to pick up a Junior Kimbrough record. I was shocked, because the way he sang really reminded me of Indian singers in the bending of the notes and the mixing of major and minor. Then I started hearing the same connections in the guitar work, and it struck me that a lot of the music coming out of really difficult situations has those really difficult sounding notes. I had heard so much bar blues that I got sort of turned off to it, but that sent me back to my roots, plunging into blues guys like Son House, who can stand up to anything ever recorded in terms of emotional depth. GW You explore those “difficult notes.” Does your new PRS Original Sewell amp help you enunciate them? TRUCKS Yes. I have an old Fender Super Reverb that I have used for a long time with my band, because I love all of the subtlety that I can explore with it, but it just wasn’t powerful enough to use in the Allman Brothers. There, I have to solo over three drummers, a Hammond organ, a huge bass and Warren’s guitar. I got lost in the mix with my Super, and using a Marshall helped but it lacked the subtlety I needed. So the entire time I’ve been touring with the Alllmans, I’ve been struggling to find the right sound. When I took the PRS Original Sewell head out, it was the first time I finally felt relaxed about my sound and could just play without thinking about it. I think it’s the perfect middle ground where I can get the subtlety I get with my Super but also put the pedal down when I need to. I finally feel like I don’t have to compromise part of my sound.